Our range of products include bus bar system for power control center. 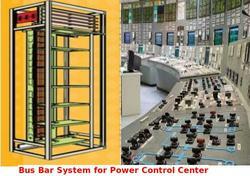 Bus Bar System for Power Control Center are standard three phase vertical bus-bars. These vertical droppers are provided with round edges for ease of contract insertion. Looking for Bus Bar System for Power Control Center ?